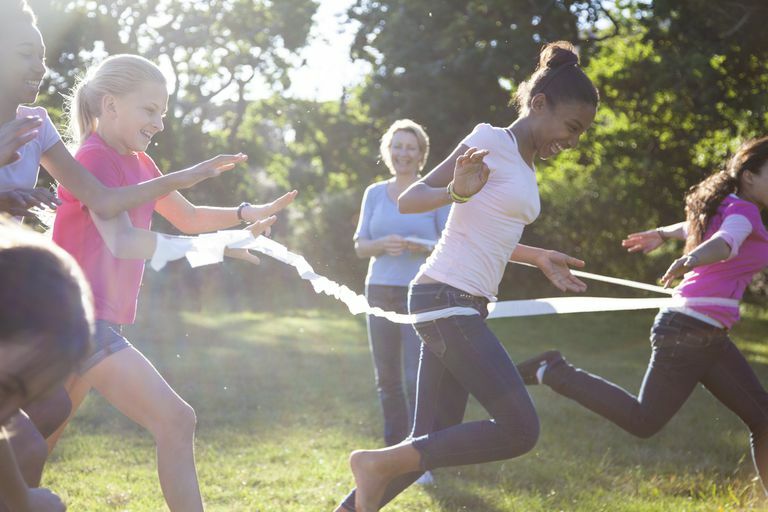 Both the summer and winter Olympic games offer olympic-size opportunities for physical activity and learning for kids. Make the most of these every-other-year celebrations by watching with your child. Then let the games spark your own games! Archery—Visit a range or experiment with a Nerf bow and arrow set or a marshmallow shooter. Badminton—Buy an inexpensive backyard set or see if your parks department or community center has loaners available. Basketball—Hit your local playground, gym, or community center for a game of two-on-two, three-on-three, or HORSE. Bicycling—Approximate a criterium around your yard, block, or playground with any wheeled toy you like. Canoeing, kayaking, and rowing—Rent a craft and go for a paddle. Field events—Throw a frisbee like a discus and a softball like a shot put. Fencing—Check out a fencing facility for a sample class or joust with pool noodles. Golf—Try it out at a mini golf course or driving range or sign up for a lesson or kids camp. Gymnastics—Seek out "open gym" hours at a gymnastics club if your kids want to try out the specialized equipment or visit a trampoline park. Martial arts—Most dojos and studios will let you take a free trial class. Soccer—Your child probably has lots of experience with this game, but you can mix things up with soccer-inspired party games. Swimming and diving—Try a new stroke or dive at your local pool. If your kids already play a sport with an Olympics tie-in, they’ll be eager to watch the very best athletes in action. If they don’t, you can encourage them to cheer for your home country and/or another nation represented in your heritage. It’s also fun to adopt a country to follow along and celebrate. Keep an atlas or tablet handy so you can ask and answer geography questions, especially during the opening and closing ceremonies. Sportsmanship. Look for examples of both good and bad sportsmanship. Are athletes showing grace in victory—or defeat? Do they thank their coaches, parents, and supporters or complain of unfair treatment? Are they respectful of each other and of the staff and officials? How do they handle disappointment? Girl power. The games highlight female athletes, unlike any other major sporting event. You can talk with your sons and daughters about how women’s and men’s events differ or don’t. In some equestrian events, men and women compete against each other on equal footing. And sometimes, female athletes outnumber the male ones. Health and wellness. The Olympics showcase all shapes and sizes of bodies—from tiny gymnasts to tall basketball players to heavy weightlifters. Listen for details on how and why they train the way they do—not just with physical activity, but with nutrition too. And don’t forget the TV commercials. Do your kids think the athletes really eat the fast food they endorse in an ad? Do they think sports drinks or supplements can work the miracles they promise? Olympic values. The three Olympic values are Friendship, Respect, and Excellence. The Paralympic values are Determination, Inspiration, Courage, and Equality. Together, you can look for examples of these values in action—not just during the games, but in your own lives as well.